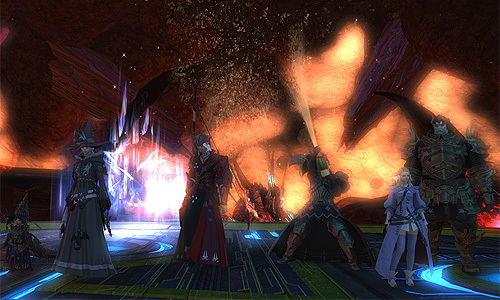 Congratulations to our early group on Kindred's first free company victory over Bahamut Prime, clearing Turn 4 (also known as Turn 13) of the Final Coil of Bahamut! Thank you to all our members involved, especially to the few who already had the clear and have been there along the way to guide us during the learning process. This was a first-time win for most, earning them the achievement Out of a Bind I. Enjoy the titles and minion reward, guys! Final Coil Of Bahamut Turn 3 Clear! Congratulations on Kindred's first free company victory over Phoenix, clearing Turn 3 (also known as Turn 12) of the Final Coil of Bahamut! FINAL FANTASY XIV: Heavensward is Now Available! It’s been nearly two years since the launch of FINAL FANTASY XIV: A Realm Reborn and thanks to the tremendous support from our players, FINAL FANTASY XIV’s first expansion pack, Heavensward, is now available! Our heroes must press on to Ishgard. But what trials await in this reclusive nation, locked in a never-ending struggle with dragons? Come what may, they must not falter, lest the light of hope be forever extinguished. The time has come to journey heavensward! 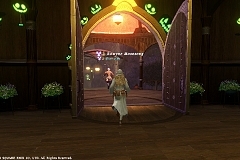 Early Access for FINAL FANTASY XIV: Heavensward Begins! Final Coil Of Bahamut Turn 2 Clear! 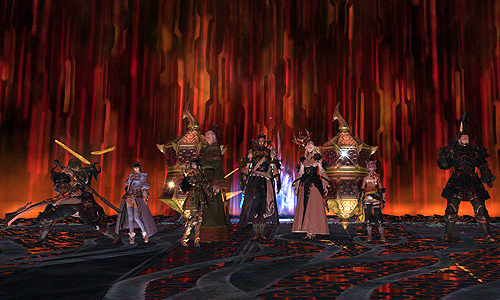 Final Coil Of Bahamut Turn 1 Clear!